It can't be denied Sheila Marie Reyes has one the freshest faces at this year's Miss World Philippines competition. 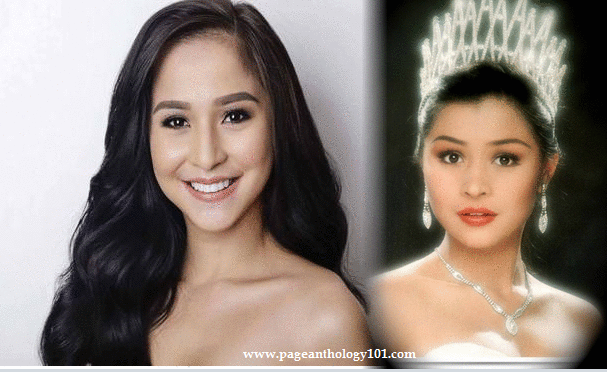 As her name might suggest, she is the sister of beauty queen Daisy Reyes who represented the country at Miss World 1996 in India and was named as Miss Personality. Aaand it's official! So blessed to announce that I'm now a part of this year's beautiful batch of Miss World Philippines. Thanks to everyone who have supported me ever since. Can't make it without you. ❤ Promise to do my best and just enjoy every step of the way. 22-year-old beauty from Valenzuela City is not new in the glitz of pageantry as she was Miss Pamantasan ng Lungsod ng Valenzuela 2011, Miss ALCU 2012, Binibining Valenzuela Environment 2012, and Miss Republic of the Philippines Visayas 2015. Candidate #28 Sheila has been named as one of the finalists in the Miss World Philippines 2017 talent portion, one of the activities held before the pageant's September 3 coronation night. Dancing is one of Sheila's first loves.